The words ‘My Love’ written in reverse, the Shimansky Evolym diamond engagement ring collection is a breathtaking and innovative design. Its unique setting radiates a true brilliance when viewed from any angle due to its 360-degree exposure to light. Matching Evolym wedding rings for her and complement the Evolym diamond engagement ring in true style and sophistication. And for him? The Evolym range includes a designer Evolym cuff for men and mens wedding ring. 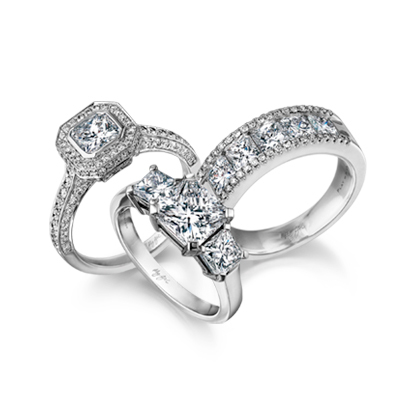 Discover the journey of the Evolym diamond ring.